PHYTEC develops and produces microprocessor-based solutions for the global, industrial embedded market at its headquarters in Mainz. We guarantee the highest quality and economic efficiency during the entire product lifecycle. Therefore, PHYTEC offers customization while still standardizing interfaces. Development of complex microprocessor circuitry can be outsourced to PHYTEC, with our modules handled as a „component“ with application hardware. Your Carrier Board is easier and cheaper to develop due to the separation of processor and application. We also carry out adding EMC critical components to the SOM. You benefit from PHYTEC's expertise in EMC compliant layout skills with high-frequency signals. PHYTEC supports you in designing your Carrier Boards or designs it for you. Due to PHYTEC extensive developments, you reduce cost and time to market. 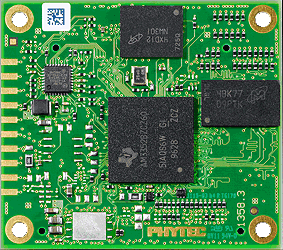 PHYTEC ships all SOMs with hardware specific Board Support Packages (BSP). PHYTEC BSPs maximize your productivity and deliver a complete platform on which to build your device. We provide all SOM and Carrier Board schematics to simplify your development process.